Envision ice cubes that continue to remain unchanged after many hours once they were poured from a glass, even in the very interior part of a freezer or under the heat of a boiler. This is essentially the discovery recently made by an international group of researchers headed by an electrical engineering professor from Duke University. The study has been published online on July 25, 2016 in Nature Matter. The researchers were using the gallium, a chemical element with a low melting point, on a nanoscopic scale instead of working with H2O in a pint glass. Gallium is a soft, silvery-bluish metal at standard room temperature. It can melt if the heat is raised to 86°F and when the temperature drops to subzero levels, it becomes hard and breakable. If gallium nanoparticles are placed over a sapphire surface, they turn into a solid state with a liquid outer layer surrounding them. This finding reveals the direct observation of the stable-state coexistence phenomenon at the nanoscale level for the first time. This odd combination of a liquid and solid state existing together has been predicted theoretically and observed indirectly in other materials in narrow bands of specific temperatures, but this finding was very unexpected, especially because of its stability over such a large temperature range. The temperature range mentioned by Brown covers over 1,000°F, from -135 to 980 degrees. Gallium, a vital element in electronics, is widely used in infrared circuits, microwave circuits and high-speed switching circuits. This newly discovered part-solid and part-liquid nanoparticle phase may be useful in molecular sensing devices, enhanced photodetectors and ultraviolet sensors. 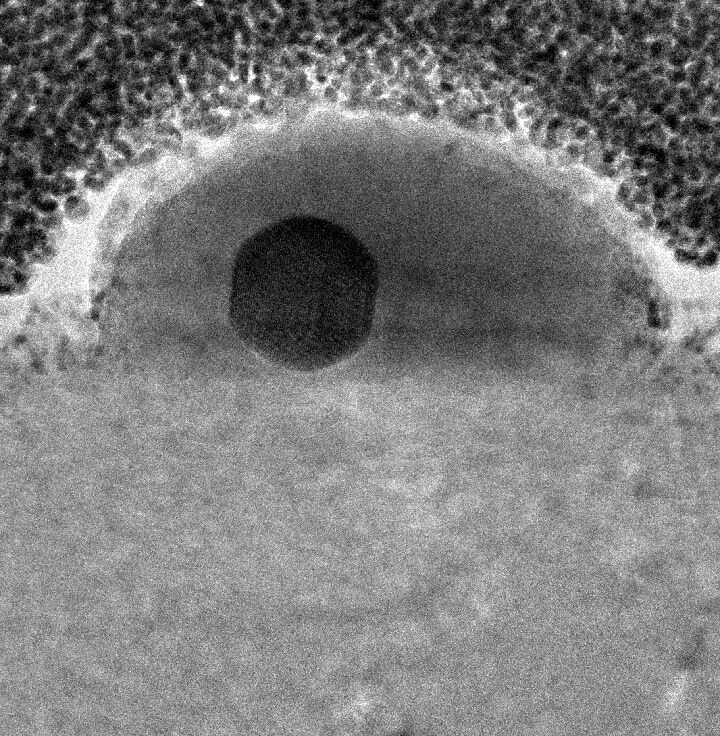 Brown is hoping that this work on gallium is just the point of the iceberg, as she is intending to create a facility at Duke to explore similar phase qualities in other nanoparticles. This research work was carried out together with other researchers at the University of Western Australia, the University of Melbourne, the Institute of Nanotechnology-CNR-Italy and Johannes Kepler University Linz.